HEALTHY HAIR ROUTINE, SHAMPOOS & CONDITIONERS. For long term readers of Barely There Beauty, you'll know about the ongoing battle with my hair and Telogen Effluvium (if not you can read more about my Hair Journey here). For the past... many many months, I've been working on a routine that reduces shedding, stops breakage, encourages growth and allows me to keep my hair super long whilst remaining healthy #longhairdontcare. I think I'm going to turn this into a little mini-series to share my findings and ultimately, the best hair routine I can conjure up, and today we begin with a little introduction to the shampoos and conditioners in my artillery. Perhaps the biggest revelation is that I've swapped shampooing for conditioning first. The benefits are two-fold. Firstly, I can use the most nourishing and heavy conditioners/oils, every time I wash my hair, without them weighing it down as shampooing after, washes most of it out of my hair. The conditioning layer from my pre-shampoo-mask also acts as protection for my lengths and ends (most prone to damage) against the detergents in the shampoo. I'll then follow up with this light leave-in conditioner, so I can retain some natural volume. Making this change has made the world of difference in the health and look of my hair. I use a couple of shop bought masks as a base then add all sorts of oils, essential oils and natural ingredients to make a nurturing concoction for my hair (jojoba, castor, EVOO, vinegar, rosemary extract etcetc). I do love adding essential oils (clary sage, rosemary, tea tree and bergamot are a few faves) as they really treat and soothe my scalp and strengthen my hair, each has a benefit for hair and skin; you can use peppermint for example to stimulate blood flow. Philip Kingsley Elasticizer £32 | An old favourite, I've gone through many a tub of this treatment. The second ingredient in this is castor oil, which is another favourite, for hair, lashes and brows, but I do like to mix pure castor oil in with it to encourage growth. Macadamia Deep Repair Masque £16 | I have to say I have loyally stuck by this product mainly for the scent. It's obviously a decent mask, that imparts moisture into my hair, but the sweet, fresh scent that lingers for hours and hours is intoxicating. This mask is quite oily as it is so accepts other oils I add pretty readily, you can really saturate it to get a lovely, oily gloop that works wonders on your hair. 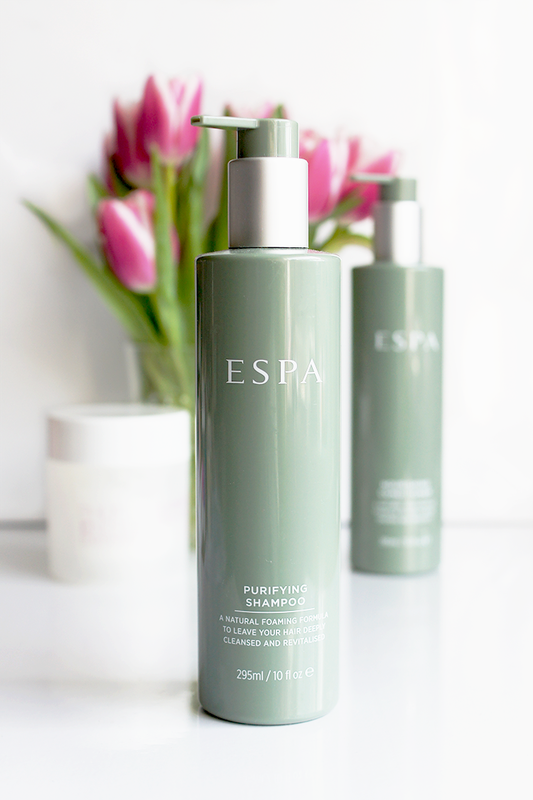 ESPA Nourishing Conditioner £20 | A relatively new addition to my rotation and kindly sent to me along with the corresponding shampoo, this conditioner is so thick, it's found a place amongst my pre-shampoo treatments. It boasts coconut oil, olive oil, sweet almond oil, jojoba oil, panthenol, , glycerin, 3 proteins and 23 essential oils/botanical extracts, every single ingredient of which I've researched like the geek I am. I don't actually think there is a single silicone in this which is a) surprising and b) amazing. Silicones are great for making your hair feel wonderful but I don't rate them for hair health. I actually really want to try out their Pink Hair & Scalp Mud, I think a lot of people forget about scalp health. Maples Holistics Argan Shampoo $10 | I reviewed my love for this shampoo in this post. Of course it's SLS etc free and has a glorious 'Werther's Orignals'-like scent. It's gentle and soothing on the hair and left mine feeling clean and light but not stripped, but it's not the easiest to get hold of in the UK. Theorie Argan Ultimate Reform Shampoo $20 | Ditto with this lovely, creamy shampoo from Theorie. I picked this up on a whim from TKMaxx when I was in desperate need and fell a little in love. If you ever see it about, it's well worth picking up. 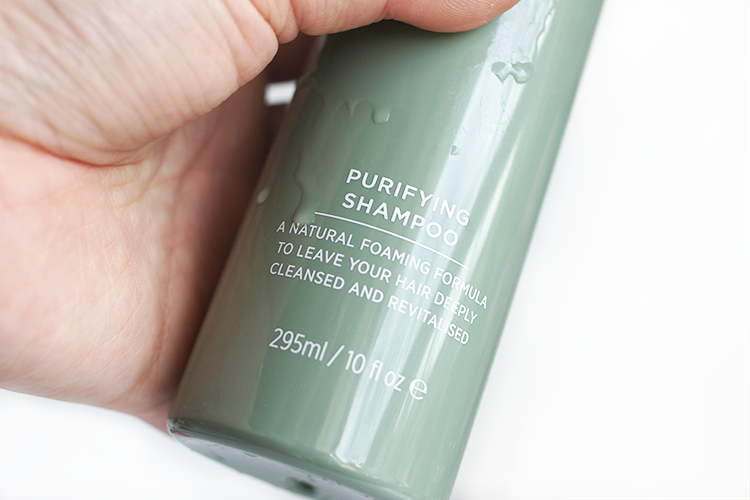 ESPA Purifying Shampoo £20 | Alternating with Theorie, is the new shampoo by ESPA, a British nature-meets-science brand that I already rate the body products of. Like the conditioner, this shampoo is jam packed with botanical extracts, panthenol and honey and is SLS/SLES free (a given for me). I must mention that the pump is pretty crap, I don't know if I got a dodgy batch or what but I literally pumped 20 times to dispense enough product, but fortunately what's inside is great. In your hands it feels like a cream-oil, sumptuous, with a very much rosemary/herbal/citrus scent (the conditioner is the same although you can smell more of the carrier oils in that one). It lathers up really well for the lack of strong detergents, rather like a cream oil body wash would. I've been trying out just the shampoo on it's own (I do this with all the shampoos I test!) to see just how drying/cleansing/etc it is and even though I am so very picky with shampoos, it's a definite win. I didn't use my beloved Know Knott (review) and my hair didn't tangle up or feel stripped in the slightest. Instead it feels soft, nourished, clean and even the fella noticed how soft my hair felt before I mentioned I'd swapped to a new one! I'd really recommend it. Do you suffer with problem hair? What are your favourite haircare products? Your photography is insane, I am so jealous of you skills!! 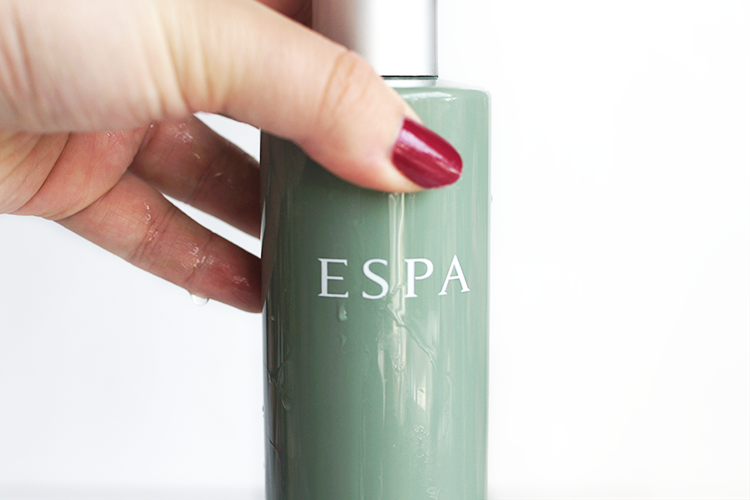 I love the sound of the ESPA shampoo and conditioner, I hope not all the bottles are such difficult to plump! I definitely need to give my hair some extra love and these seem perfect!